One of the universal truths that I have learned from my childhood up is that the Bible is the Living Word of God. It’s truths are true yesterday – today – and forever. It is not a dead book that only holds truths for the past. I’ve also learned that what God does for one He most likely could – would – does do for others. When I read a passage like this one today from God through a prophet – I realize that we all might not be called to be a prophet to the nations but we are all called to serve God. We all have a calling – a duty – a plan for our life. The point that stands out to me the most is found in verse 5 – Before I formed you in the womb I knew you, before you were born I set you apart. God’s plan for me was from before time as I know it. God had a plan for Jeremiah from before he was in the womb. This suggests to me that God knew Jeremiah – and in turn each of us – before we were born or even conceived. For me – this is one of the strongest passages of Scripture against abortion. 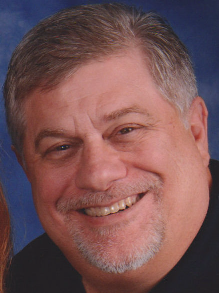 When people abort a baby – they are aborting the plans God had for that baby – and for the world since that baby had a plan and would have had an impact on the world had he/she chosen to follow God’s plan for them. Where would we be today if Jeremiah’s mom aborted him? Where would God’s plan have been? What if Mary aborted Jesus? I mean she was an unwed (technically married but the marriage was not yet finalized) teen mom – with very little means of support – and her husband was about to bail on her (before God convinced him otherwise). Years ago – eleven to be exact – a couple came into my office. They were pregnant and had just been to the doctors. The report the doctor gave them was grim to say the least. The doctor told them abortion was their only choice. The baby in the mother’s womb was so deformed that he wouldn’t make full term. He wouldn’t live but would die in the womb. If he did survive to birth he would surely die within moments. If he lived past the first few moments – he would have no quality of life and it would be very short and painful. Abortion was recommended – several times by their doctors. The couple didn’t want to abort. They didn’t believe it was God’s plan for their child. They believed God could heal their baby – and if not – that God would give them the grace to deal with the circumstances. Their joy was based in their relationship with God not the circumstances of this pregnancy. The picture you see in this post is a picture of this young man. 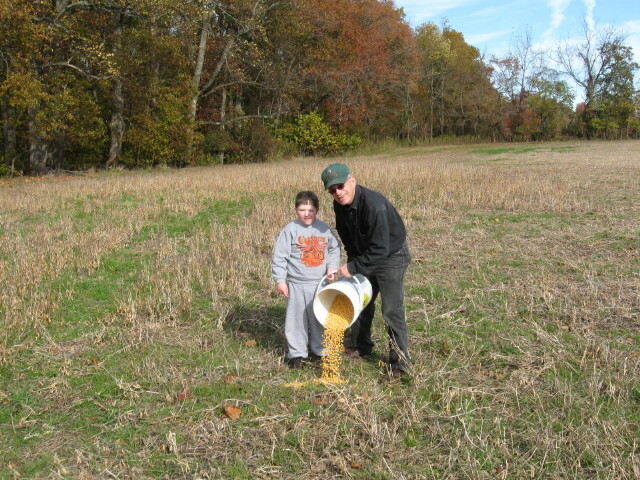 He is putting out corn with his grandfather – for this past year’s hunting season. Do you see the smile on his face? I know life hasn’t been easy for this couple and family – they have faced many difficulties – but the joy that their son brings them and their family is beyond any measure. Before I formed you in the womb I knew you, before you were born I set you apart. Life is not ours to give, nor take, all is in His hands. See how being faithful is a joy unspeakable? Even in the mindst of an aquishing decision or painful times. See His wonderous works and take great joy in the works of the Father. For where there is life, there is His handy work. Where there is His handy work, is His great joy, and we get to be a part of that.